A Conversation Between Gail Godwin and John Irving, part of a collaboration between the 92nd Street Y’s Unterberg Poetry Center and The Paris Review, was recorded live at 92Y on April 4, 1986. 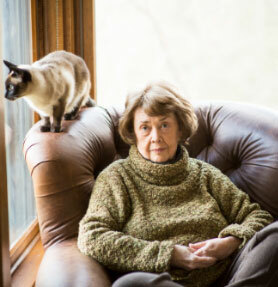 "Gail Godwin Talks of Her Fiction and Her Muses," by Herbert Mitgang, The New York Times, October 4, 1983. "Composer and Librettist," Continuo: A Life in Music, by Robert Starer, Random House, 1987. "Gail Godwin," by Katherine Usher Henderson, Inter/View: Talks with America's Writing Women, Mickey Pearlman and Katherine Usher Henderson, University of Kentucky Press, 1990. "Gail Godwin's Melancholy Muse," by David Streitfeld, The Washington Post, Style Section, March 7, 1991. "A Dialogue with Gail Godwin," Lihong Xie, The Mississippi Quarterly, Spring, 1993. "Mothering Our ‘Dream Children' from Gail Godwin," Deborah Kuhlmann, Short Story, Volume 1, No.1, Spring 1993. "Gail Godwin Talks about Southern Storytelling," Joyce Hazelwood Donlon, The Southern Quarterly, Spring 1994. "Gail Godwin," three interviews [1987, 1991, 1994] by Dannye Romine Powell, Parting the Curtains: Interviews with Southern Writers, John F. Blair, Publisher, 1994. "Gail Godwin," Conversations on Writing Fiction: Interviews with 13 Distinguished Teachers of Fiction Writing in America, by Alexander Neubauer, Harper Perennial, 1994. "Gail Godwin: A Leap of Faith in a New Novel," by John F. Baker, Publisher's Weekly, February 15, 1999. Interview about Evensong with Terri Gross on "Fresh Air": National Public Radio, March 1, 1999. Gail Godwin on "The Situation of American Writing 1999," American Literary History, Summer, 1999. "A Conversation with Gail Godwin," Brigitte Weeks, Ballantine Reader's Guide in the paperback edition of Evensong, 2000. "Tea and Conversation," Gail Godwin talks about her latest book, Heart, a Personal Journey through its Myths and Meanings in an interview by Claire Whitcomb, Victoria, February 2001. Reader's Circle paperback reissue of The Good Husband, 2003. 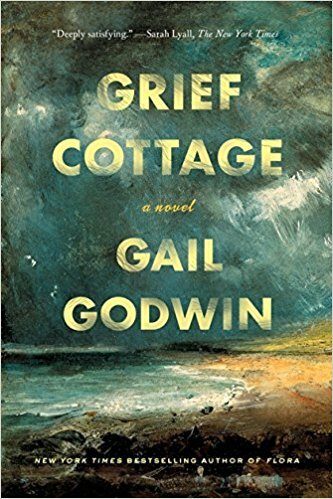 "A Novel Approach," Writing her new novel, Evenings at Five, helped Gail Godwin cope with the loss of her longtime companion, composer Robert Starer. By Valerie Havas. Hudson Valley Magazine, September 2003. "A Conversation with Gail Godwin," Rob Neufeld, Ballantine Reader's Circle paperback edition of Evenings at Five: A Novel and Five New Stories, March, 2004. "A Conversation with Gail Godwin," Rob Neufeld, Ballantine Reader's Circle paperback re-issue of The Finishing School.